What is a Thyroid Blood Test Panel? Though a part of the body that many people know little about, the thyroid plays a major part in daily wellness. Both hyperthyroidism and hypothyroidism — too much thyroid activity and too little thyroid activity, respectively — are cause for concern. Your thyroid controls much of your metabolism and plays a vital role in your overall health. 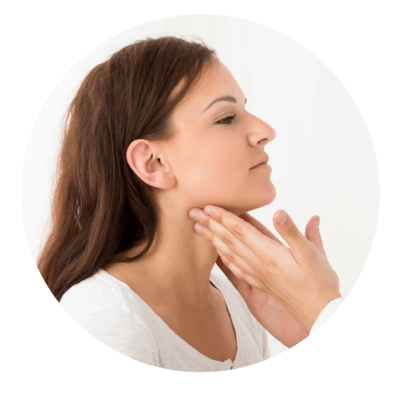 It is important to monitor thyroid function, as it is estimated that up to twelve percent of the population in the United States will develop thyroid disease during their lifetime. That’s almost fifteen million people who have thyroid problems that affect their metabolism and are unaware. Anybody can experience thyroid issues but some people are more susceptible than others. What are the Thyroid Blood Test risks? Irregular or Heavier Than Normal Periods. Dry Skin & Thinning Hair. Unexpected or Unusual Weight Loss. Swelling in the Neck from Enlarged Thyroid.